My Medallion Magic quilt is in the November/December issue of Modern Patchwork! 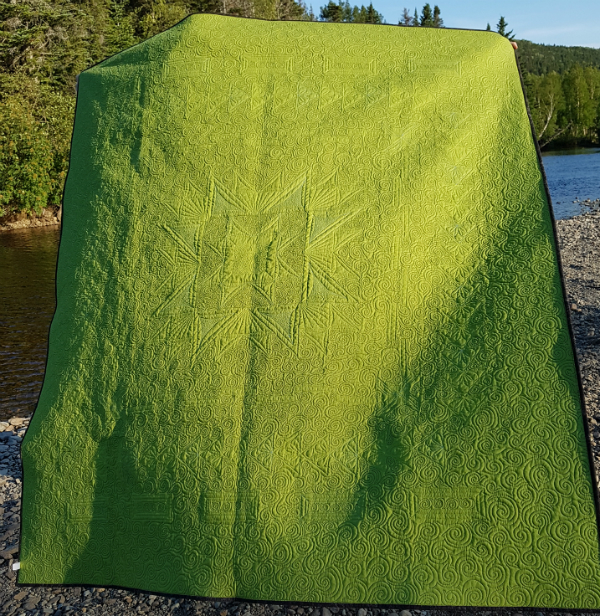 All of the fabrics for this quilt were generously provided by Northcott Fabrics. They are all solids except for the gorgeous brown background fabric, which is from the Naturescapes line. 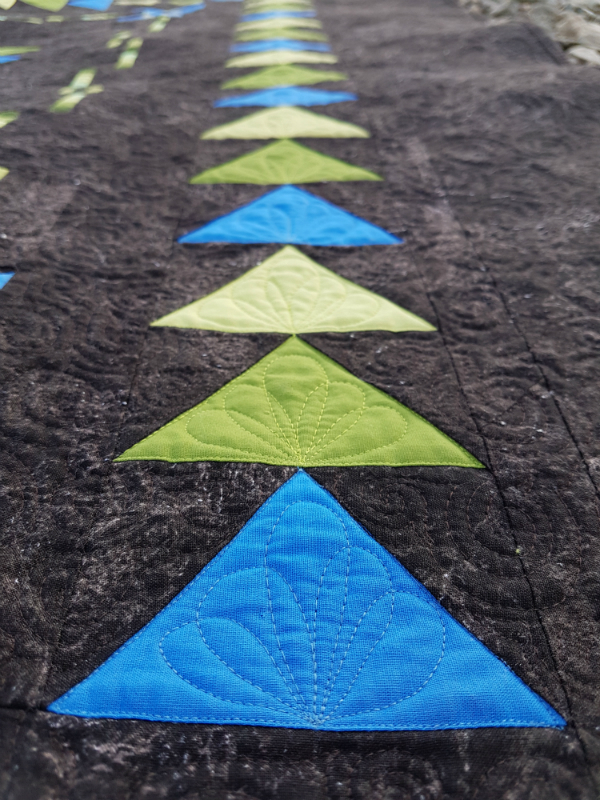 I have always loved the idea of medallion quilts, but I find most of them to be a little too busy, with no space between the rounds to allow each one to really shine. In Medallion Magic each round of blocks is followed by a solid round to separate the blocks and give the design a bit of breathing space. 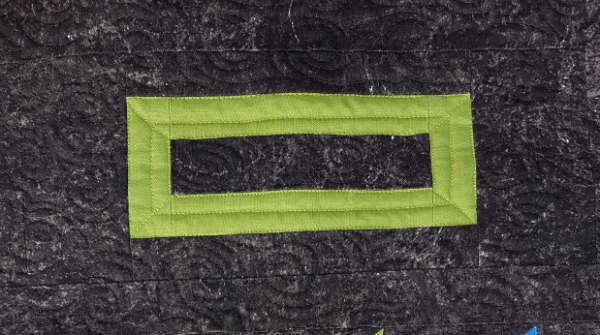 I also wanted the medallion design to be rectangular rather than square since I know that some quilters prefer rectangular quilts (Jasmine, I was thinking of you with this one 😊). I added one row of these quick and simple box blocks to the top and bottom to create the rectangle. The quilt finishes at 62" x 70". I had so much fun with the quilting! 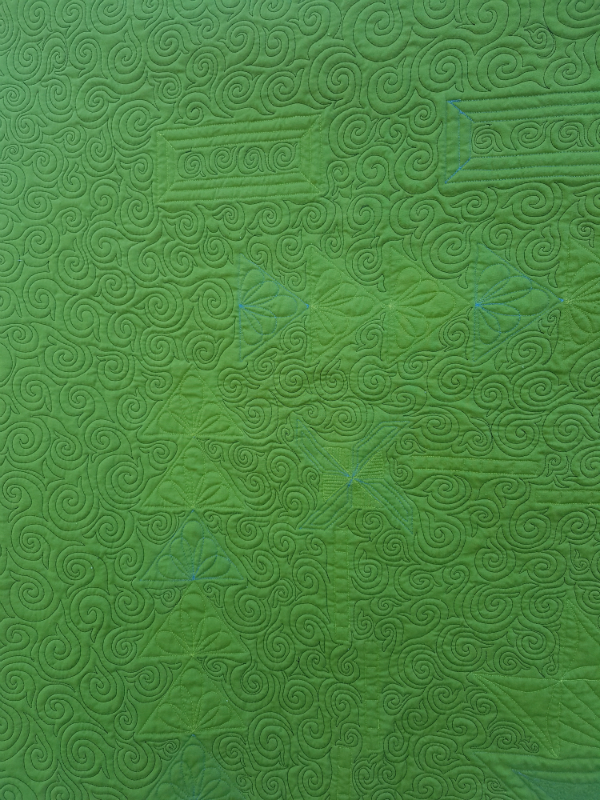 Each of the elements in the blocks got some custom quilting and then I filled the background with the swirl hook design. This is another of my designs from the 30 Quilt Design IG challenge with Rachel at Stitched in Color. I have another one almost finished and two more waiting somewhat impatiently in the queue. Why, oh why aren't there more hours in the day? Do you like medallion quilts? 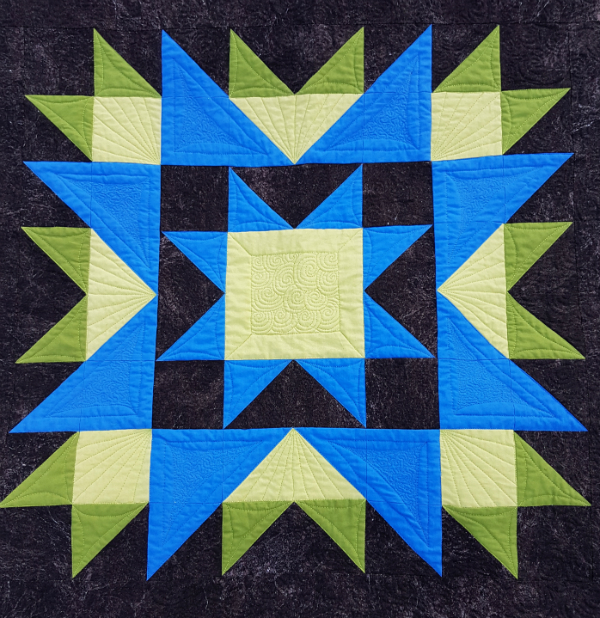 What elements do you look for when you're considering a medallion or sampler quilt? Congratulations! Great quilt design. I love the shot of the quilting on the back, too. ♥ I need to find this magazine. Well done!! This is so beautiful! 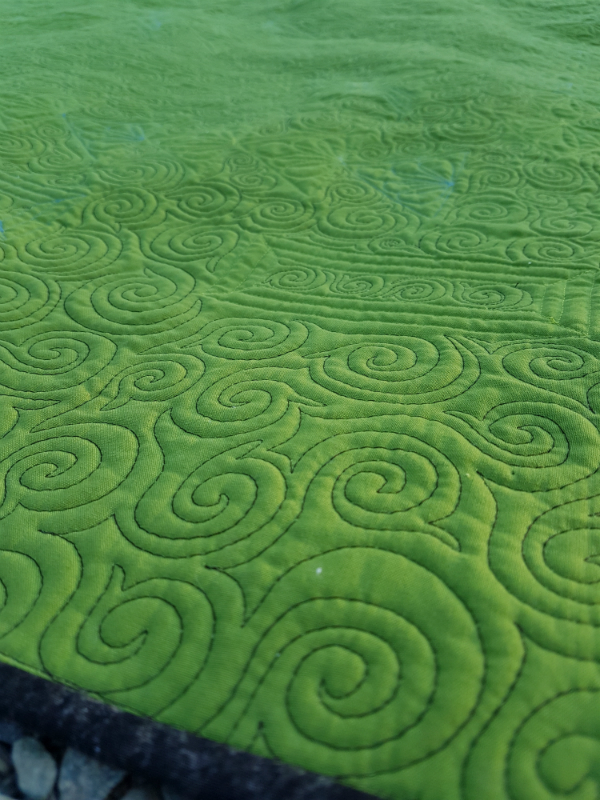 The quilting is just mesmerizing! 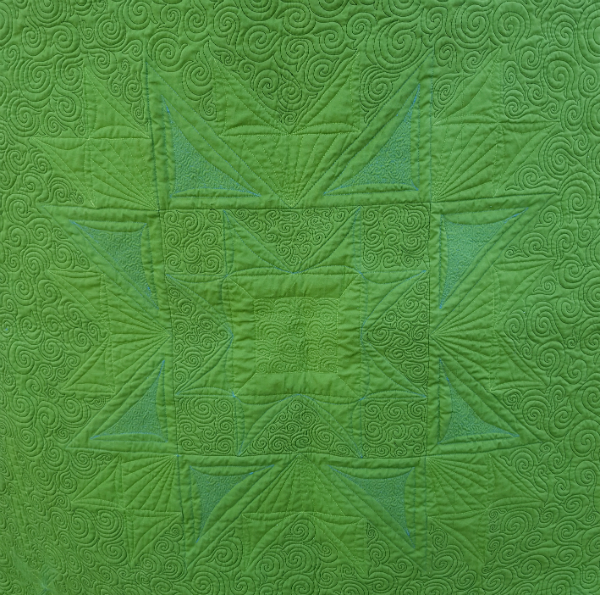 I love the simplified medallion quilt. Especially that it is a rectangle. ;) The piecing and quilting really shine. The colors of this are so striking, Leanne. 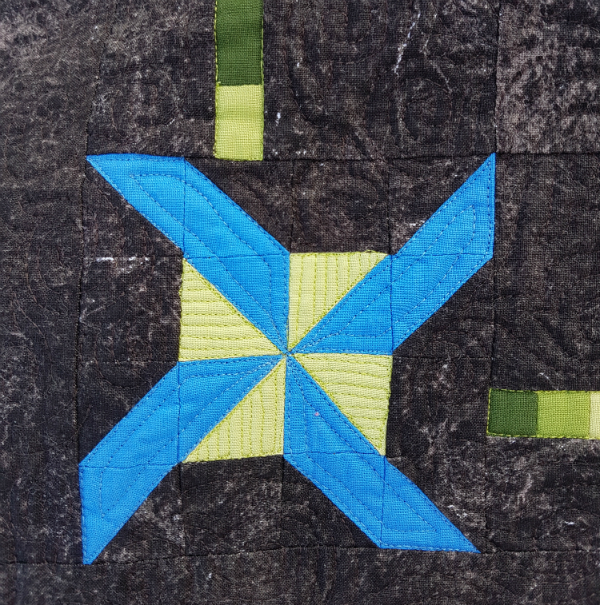 And I just love the little swirls you quilted in the star center! Leanne, this is amazing! 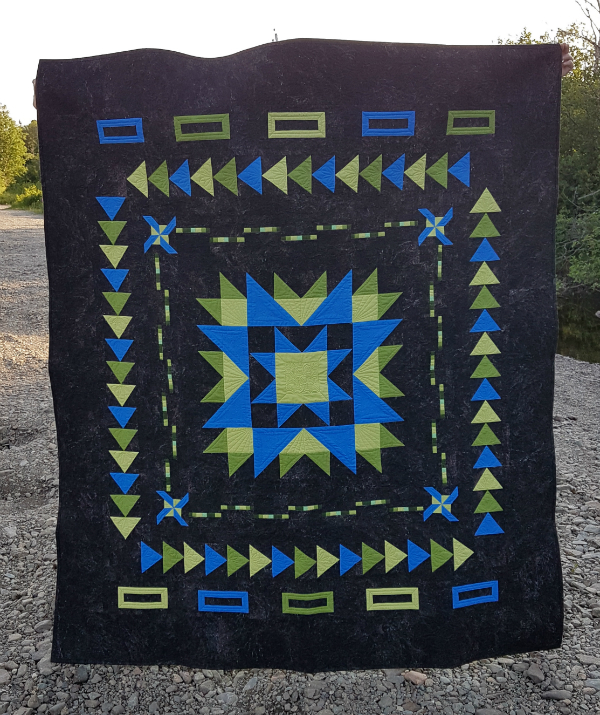 I love Medallion quilts but have never attempted one before, I really like the difference that the space between the rounds makes.